The Babcock Test is a premier example of what has become known as the “Wisconsin Idea,” or the principle that education should improve people’s lives beyond the university classroom. Although the concept was first articulated by University of Wisconsin–Madison President Charles Van Hise in 1904, the College of Agriculture had already embodied the idea for several decades. The College had established an experimental farm in 1866 to study crops and techniques and to publish the results. In 1885, the University began sharing its best practices with farmers throughout the state through its Farmer’s Institutes. These week-long courses, which featured presentations by University faculty and staff, were offered free of charge to farmers in towns across Wisconsin. All that the host community had to provide was a suitable meeting space. The butterfat test was met with intense interest when Babcock published it in 1890. Three years later, as Babcock presented the method in print again, he explained that the print runs of the original Agricultural Experiment Station bulletin, the Station’s 1890 annual report, and a second bulletin in 1892 had all been exhausted. Clearly, the results of University research were reaching far beyond the Madison campus. In this same spirit of general improvement, Babcock and his UW associates chose not to patent the new butterfat test, instead, offering it freely to anyone who felt he could benefit from it. 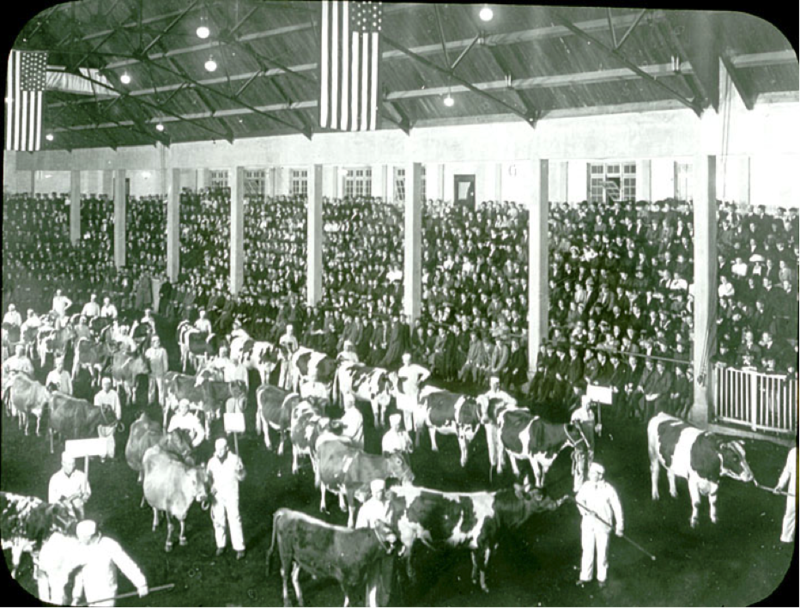 Featured image caption: Handlers exhibit the University dairy herd for students at the Farmers Course, UW Stock Pavilion, 1900-1920. Part of the Frank N. Campbell Slide Collection. Courtesy of the University of Wisconsin Archives. McCarthy, Charles. The Wisconsin Idea (New York: Macmillan, 1912). Schoenman, Adolph. Milk Testing: Instructions for Testing Milk and Dividing Money for Creameries, Cheese Factories and Dairymen (Madison, 1894). Stark, John O. The Wisconsin Idea: The University’s Service to the State (Madison, Wis.: Legislative Reference Bureau, 1995, “Reprinted from the 1995-1996 Wisconsin blue book compiled by the Legislative Reference Bureau. “History of the Wisconsin Idea,” University of Wisconsin-Madison, accessed March 12, 2015. Next post: How Does a Babcock Tester Work?